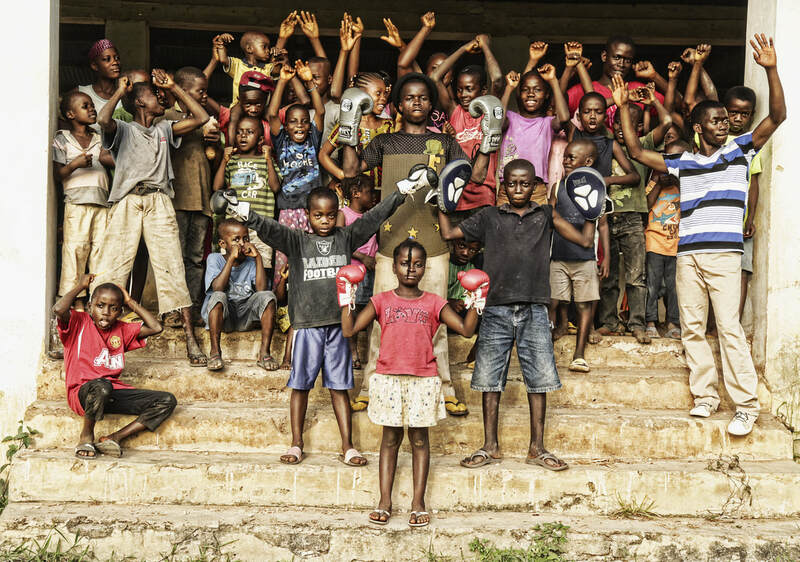 Using Boxing as a vessel to instill self-confidence, discipline, determination, and perserverance in the children of Liberia, West Africa to "float" above extreme poverty and variety of unsavory conditions. The Butterfly Affect, named after the graceful impact of Muhammad Ali’s legacy “Float Like a Butterfly,” was innovated by Jason Scalzo, SMK Butterfly Affect Coordinator, as Save More Kids sixth initiative. The Butterfly Affect was designed to initially impact the 44 children living at Christ Children’s Home, whose parents were lost to various cultural epidemics plaguing Liberia – 14 years of Civil War and the recent Ebola Crisis. We aim to immediately create and foster an innovative, attractive boxing culture for youth living in Liberia. Through the Butterfly Affect initiative, we will attract international professional boxers to come to Liberia in order to serve as a visible and tangible role models for the youth population in Liberia. We will supply the necessary training, equipment, and additional training resources​ needed to foster growth and continue impact in Liberia. The program is not limited to intermittent seminars conducted while the organization is present during relief missions, nor to just the single orphanage. But the growing presence of the sport and its impact on the people will justify the creation of multiple boxing clubs throughout the country employing local staff, and benefiting countless children and citizens, in perpetuity.